And last but not least, we had to include a winemaker from our green and pleasant land now that England is making sparklers to rival those from Champagne. 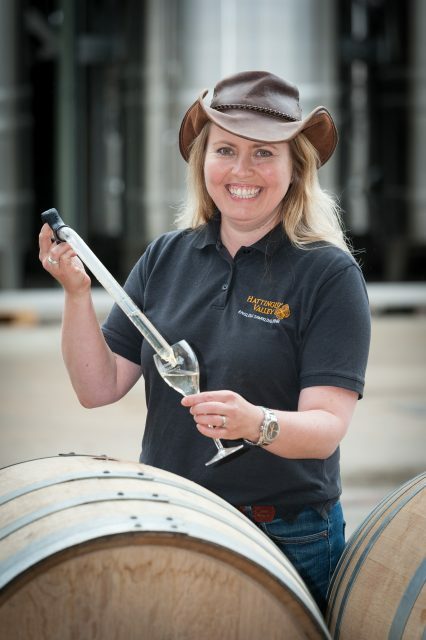 At the helm of one of England’s leading fizz producers is Plumpton graduate Emma Rice, winemaker and director of Hattingley Valley in Hampshire, which was founded a decade ago by lawyer Simon Robinson. After working harvests in the Napa Valley and Tasmania, Rice joined the estate in 2009 and helped to build the winery. Working with Pinot Noir and Chardonnay and Meunier from across southern England, in her spare time Rice runs Custom Crush, a wine analysis lab and winemaking consultancy for English wine producers. “English sparkling wine is no longer the domain of hobbyists and amateurs who are planting a few grapes in their back garden. It’s led by people who are doing it on a serious scale with good professional advice and knowledge and the right equipment,” she says. Hattingley Valley is one of the largest contract sparkling wine makers in England.